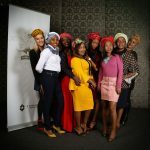 Thebe Ya Mosadi celebrates women’s day by hearing from the powerful women who wear their crowns gracefully. 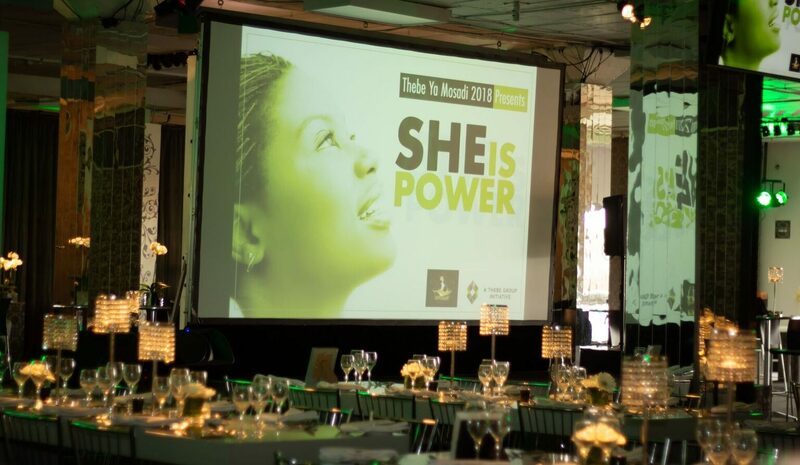 An annual highlight for Thebe Ya Mosadi is a women’s day event where the strength of women is celebrated. 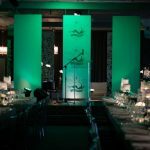 Since 2014 to date the themes have included Exploring our Destiny, Finding Wellness, Aspire to Inspire and Leading from any chair. This is year has been all about Wearing a Crown and finding your inner power. 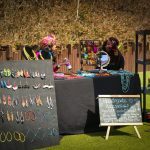 Attendees arriving at the event at Urban Oak in Kramerville with hats and headwraps were required to donate sanitary towels in support of the Caring4Girls initiative as they have since 2014. 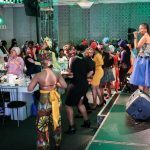 Former Malaika lead singer Tshidi Mholo provided entertainment and Nobuzwe Mbuyisa introduced the speakers who challenged and inspired the audience. Dineo Molefe, former Thebe Group Financial Director and custodian of Thebe Ya Mosadi and current MD of T-Systems South Africa, followed and focused on the reasons behind starting Thebe Ya Mosadi. 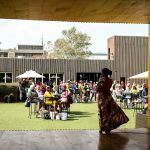 She believed it was important to start a forum where women could work towards empowering themselves, within their careers and their private lives, by having discussions with one another. 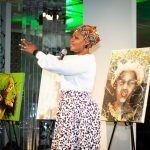 She reminded the audience that patriarchy is a real issue, regardless of colour and that a woman’s identity is often dictated by what society prescribes. 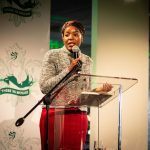 Sindi Mabaso, Executive Chairperson of The African Women Chartered Accountants Investment Holding Company, inspired women by reminding them how important it is to learn from failure. 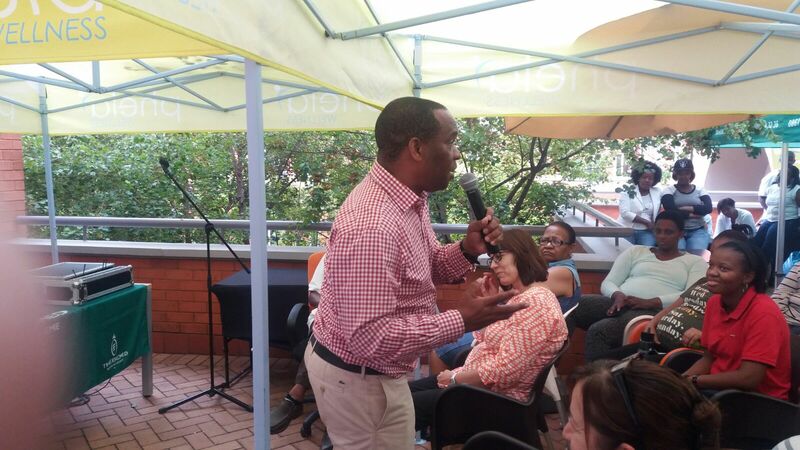 Sizwe Mncwango, Thebe CEO, focused on how fear can hold us back from reaching our potential. 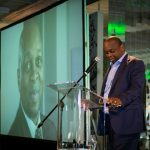 Quoting Madiba, Sizwe reminded the audience that our biggest fear is not that we are inadequate, but that we are powerful beyond measure. 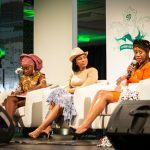 The event culminated in a panel discussion on becoming role models and leading by example, finding inner strength through introspection and embracing inner power, and finding your motivation, being bold as you go out and lifting others as you rise. 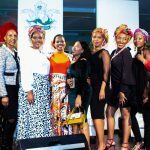 The words of wisdom spoken at this event, the reassurance of the support women have for one another and the reminder that we are powerful beyond measure have inspired the women of Thebe to wear an invisible crown of power and to be bold and fearless in all they do.